Jean-Paul Philippe is a renowned French artist who specializes in abstract, monumental sculptures. One of his most famous works is in Asciano, a village near Sienna, Italy. It features large stone structures reminiscent of the Puerta del Sol of ancient Tiwanaku in Bolivia. A small-scale model of Jean-Paul Philippe's sculpture is on exhibit at the Musée Granet in Aix-en-Provence. Asciano happens to be the "sister city" of La Roque d'Anthéron, a village located some 30 minutes east of the ITER worksite and one that is skirted by the ITER Itinerary. A few years ago, the mayor of La Roque d'Anthéron and Philippe met and decided that the "sister city" deserved a "sister monument." 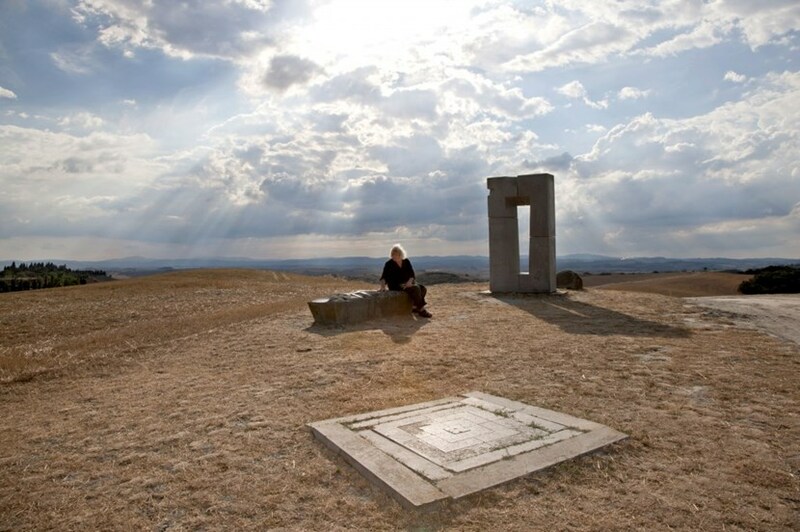 "My work in Asciano had to do with the Sun," explains the artist. "It was quite a coincidence that the convoys that deliver components to the artificial Sun of ITER pass right by Asciano's sister city." In the spring of 2016, Philippe visited the ITER site and was convinced. The monument he designed for ITER features a high column made of seven granite blocks—the seven ITER Members—rising from a stone platform. A small-scale model of the sculpture is currently on exhibit at the Musée Granet in Aix-en-Provence. On the top of the column, a notch is hollowed out and covered with gold foil to "gather the light of the setting Sun." The light at the end of day will also reveal Einstein's "ΔE=Δmc2" mass-to-energy conversion formula that is at the core of the fusion reaction. Halfway down another hollow in the form of a crescent Moon is meant to catch the morning light. 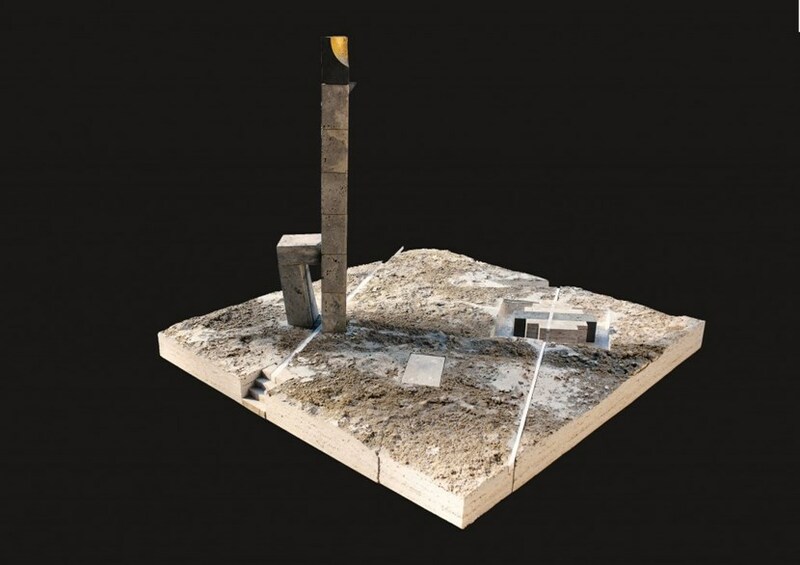 The sculpture aims to be "enigmatic," says the artist—a "signal" on the way to ITER that the transport convoys will pass on their way to the construction site. What is missing for the moment is the funding. The artist and the municipality of La Roque d'Anthéron plan to establish a committee to gather contributions from institutions and private companies.